Motivated by the filing of a lawsuit by Florida Carry alleging violation of Florida's 25 year-old Firearms law preemption statute, the Leesburg City Commission has repealed their anti-gun ordinance. Ironically, the lawsuit could have been completely avoided had the city simply repealed the unlawful ordinance when they were originally notified that the ordinance was in violation of preemption by Florida Carry. Florida Statute §790.33, enacted by the state legislature in 1987, declared all existing local ordinances, rules, and regulations which regulated firearms null and void at that time. Naively believing local governments would immediately comply with state law, the legislature included no penalties for noncompliance. Despite being null and void, over 300 local governments still had such ordinances on the books in 2010, and remained defiant when state legislators reminded them that they were in violation of state statute, essentially telling the legislature, "there are no penalties, so we won't comply." Infuriated, state legislature introduced HB 45 in the 2011 legislative session, which amended §790.33 Florida Statutes to include stiff penalties for local governments who insist on attempting to regulate firearms in violation of preemption, and even includes personal sanctions for officials who participate up to and including removal from office. Also included in the amendment is the statutory granting of legal standing for gun rights organizations like Florida Carry to file suit on behalf of their membership in cases challenging offending ordinances. Leesburg's apparent unwillingness to repeal an ordinance they knew had been null and void since 1987 was puzzling. We could only assume that the city wished to willfully misrepresent the order of law. Since the ordinance was published as part of the City Code of Ordinances, an unknowing citizen would assume the city had the legal right to enforce said ordinance, despite the statute forbidding enforcement or promulgation. Deliberately playing on the ignorance of the public, Florida Carry believed the ordinance would have a chilling effect on the rights of citizens, who were complying with state statute. Therefore suit was filed against both the City of Leesburg and the City Manager Jay Evans in March on behalf of Florida Carry and its membership by counsel Patrick Buckley of The Law Office of J. Patrick Buckley III in Fort Myers, and co-counsel Eric J. Friday of Fletcher and Phillips in Jacksonville. Subsequent to our lawsuit, the City Commission of Leesburg repealed the offending ordinance on April 29, 2012. Had the city repealed their ordinance in response to our earlier notification, rather than taking a "we'll get around to it when and if we feel like it" approach, the suit would never have been filed. Since the statute's effective date of October 1, 2011, Florida Carry has been in the process of identifying and contacting local governments in violation. The majority of local governments contacted have either repealed offending ordinances or amended such ordinances to bring them into compliance with state law. Florida Carry has taken, and will take, no legal action against those local governments who indicate they intend to comply within a reasonable time-frame. However, those local governments who enact, or stubbornly continue to enforce or promulgate unlawful firearms ordinances are subject to suit by Florida Carry as we seek to protect the rights of all lawfully armed Floridians. Activists for private anti-gun group, Mayors Against Illegal Guns, discovered on city payrolls in Orlando and other U.S. cities at taxpayer expense. May 21, 2012 - Florida Carry has discovered that New York Mayor Michael Bloomberg’s group, Mayors Against Illegal Guns (MAIG) has been involved in yet another ethically questionable, and possibly unlawful activity in their unceasing quest to infringe on the rights of citizens to keep and bear arms. Apparently not satisfied with imposing draconian gun control laws in New York City, “hizzoner” wants to impose those same laws on all gun owners no matter where they live. In addition to the unlawful purchase of firearms under false pretenses at an Arizona gun show ostensibly to evidence the non-existent “gun show loophole”, the group has now been exposed in facilitating the contracting of Regional Coordinators by local governments throughout the United States. Funded primarily by grants from the United Against Illegal Guns Support Fund (UAIGSF) which is in turn funded by the Joyce Foundation, some local governments have taken the bait and hired anti-gun activists allegedly to assist them with gun violence associated with “illegal” guns. However Florida Carry has discovered that in every city uncovered thus far, including Orlando, Florida, the grant-funded position comes with a generous city benefits package and operational expense requirements paid for by the taxpayer. Long-time gun control activist and Tallahassee lobbyist Linda S. Vaughn currently fills the Orlando position, called “MAIG Regional Coordinator”, which shows a $60K per year salary. However the fiscal impact document shows a $24K shortfall for that position, paid out of the general fund. Her contract with the city is annual, and was most recently renewed in February 2012. Note that the emphasis is on promoting the desires of the coalition (MAIG), and the distribution of their propaganda through community organizations. During our research, Florida Carry discovered that Orlando isn’t the only place where MAIG has infiltrated local government. Similar positions have been uncovered in Augusta, ME; Milwaukee, WI; Minneapolis, MN; Columbus, OH; Lewiston, ME; and Seattle, WA. The position was quietly eliminated in Jacksonville, FL ahead of the 2010 elections and was recently eliminated in Reading, PA. 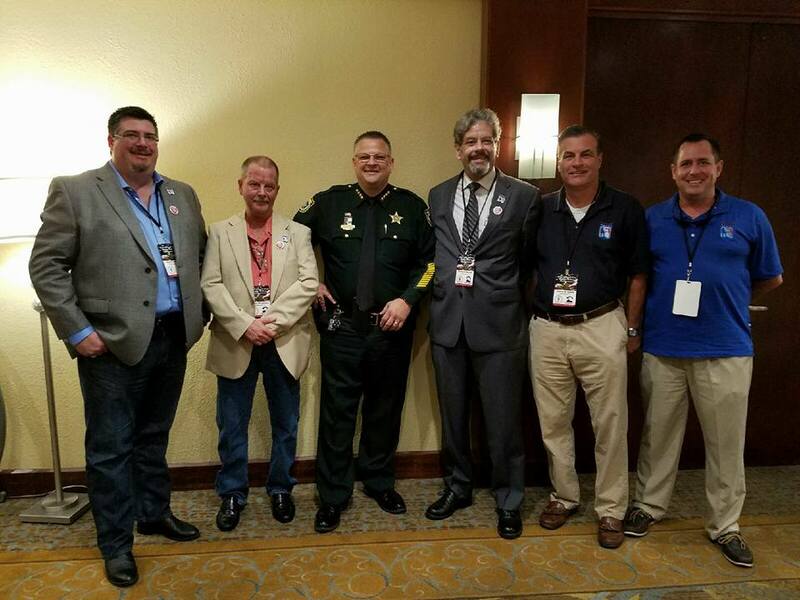 Questions remain about the duties of similar positions in Reading, PA.
Florida Carry believes that it is ethically improper, and perhaps even unlawful for the City of Orlando, or any other local government to fund a position whose sole purpose is to undermine Second Amendment rights, at taxpayer expense, on behalf of a private organization. The question which begs asking is, would organizations like MAIG, the Brady Campaign, and the Violence Policy Center idly sit by if the NRA or Florida Carry similarly placed operatives in local governments with the objective of using the guise of a government sanctioned office to promote a pro-gun rights agenda? We think not. Florida (March 15th, 2012) Qualified to Defend Our Nation Overseas = Qualified to Defend Yourself and Your Family at Home. Concealed Carry for Military & Vets Under 21 Has Passed the FL House and Senate Unanimously! Representatives Kreegel and Brandes sponsored HB 463 in the Florida House and Senator Negron sponsored SB 998 in the Florida Senate. The bills have already passed all seven committees, the full house, and the full senate unanimously. 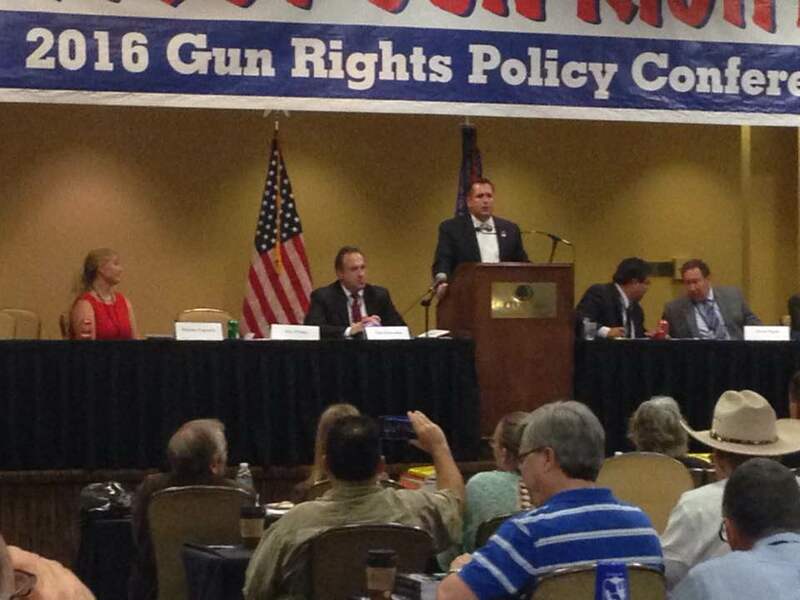 We were happy to have NRA’s support in moving the bill forward smoothly through both chambers of the Legislature. The new provisions will take effect as soon as Governor Scott signs HB 463 in to law. More legislation and lawsuits are being prepared now to protect and expand your right to bear arms. We can't do this work without your support. May 3 2012 Tampa, FL - On behalf of Florida Carry's over 9,000 members and supporters, we applaud the leadership displayed by Governor Rick Scott in his immediate and resolute response rejecting a request from Tampa Mayor Bob Buckhorn that the constitutional rights of Florida’s nearly one-million active concealed carry license holders be suspended under the Governor’s emergency powers. Last year, the legislature passed a bill adding penalties for local governments who enacted, enforced, or promulgated ordinances in violation of state preemption of the field of firearms and ammunition (F.S. 790.33). Despite the fact that the preemption statute had declared all such ordinances null and void since 1987, local governments continued to flagrantly and unlawfully maintain and enact ordinances which regulated firearms in their jurisdiction with impunity. It was this callous disregard for state law which prompted the legislature to act. In addition to the Federal National Security Zone established by the U.S. Secret Service around the RNC site, the City of Tampa intends to impose its own Baghdad style "Clean Zone", which would have banned the lawful carry of firearms for self-defense in a wide swath surrounding the convention center, including the entire downtown area and even across the river. However, city attorneys immediately recognized such a ban would expose the city to the penalties enacted in last year’s bill, which became effective as of October 1, 2011. Not satisfied, the city council authorized Mayor Buckhorn, ironically a gun owner and concealed carry licensee himself, to send a letter to the Governor requesting a temporary reprieve from preemption. Florida Carry thanks Governor Rick Scott for his continued ardent support of the 2nd Amendment, the Florida Constitution, and Florida law. We encourage all local government officials to take note of the governor’s position as guidance with regard to their own local governance. We warn the City of Tampa that firearms are not the only class of arms recognized under the Second Amendment and Florida law. Florida Statute 790.06(15) also preempts the city from imposing its ban on the otherwise lawful carry of other classes of defensive weapons. We will have zero tolerance for such violations of civil rights and the legislature’s express preemption of firearms and the bearing of concealed defensive weapons. Leesburg FL (March 14th, 2012) As was reported in December, the City of Leesburg has decided to stick by its anti-gun laws in direct defiance of state law and their own city charter. Leesburg City Manager Jay Evans has flatly refused our requests that the city repeal its firearm ordinances, in compliance with state preemption of firearms law. "Any action taken in the future regarding the existence of these laws in our Code of Ordinances will be done at the discretion, pleasure, and timing of the Leesburg City Commission." The City of Leesburg, and its manager, have remained openly defiant for months. Abiding by state law is not optional and our members demand that we have compliance. 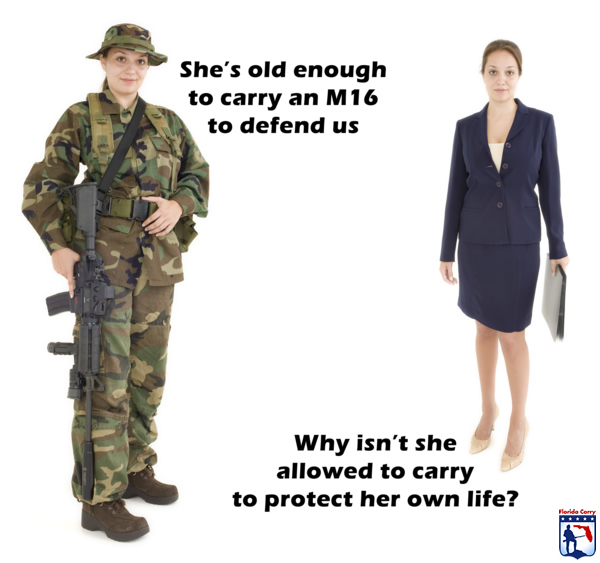 On behalf of our members, and pursuant to our organization's mission, Florida Carry, Inc. has filed a complaint with the Florida circuit court in Lake County to demand that they follow the law. Florida Carry is not being "over-zealous with the rhetoric" as City Manager Evans has said. "This isn't rhetoric, this is the law, and we are done waiting for the city to obey it. We demand compliance now."